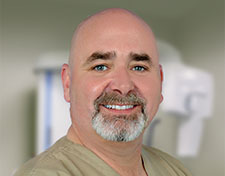 Implant Dentist In Utica, Dr. Jackson. Serving The Utica And Mohawk Valley Area. Teeth were designed to last a lifetime but sometimes they don’t. If, for any reason, you lose one or more teeth it is important for your oral health and general well-being to replace the missing teeth. When there are major gaps in your dental alignment due to tooth loss your chewing ability is greatly reduced and these spaces can cause other teeth to tip or rotate thereby creating subsequent problems. In addition, there can be an emotional side effect due to tooth loss: diminished self-esteem as a result of the perception of a poor appearance. Dental implants are an excellent option if you have decided to replace missing or failing teeth. Dental Implantation is a safe and effective procedure for tooth replacement and has been used for more than 50 years with great success. Implant treatment is more predictable than conventional bridgework and has become the treatment of choice in most circumstances. Dental implants become a viable choice when both the tooth and the root of the tooth are missing or degraded. During an implant procedure the missing tooth is replaced with an implant which is composed of an anchoring root mechanism and tooth reconstruction. Dental implants are usually made from titanium posts that are placed directly into the jaw and provide a permanent anchor for the crown. This process of tooth replacement through dental implantology is a well-established and safe practice. People you meet generally notice your smile first. A beautiful smile is a confidence booster and relates directly to how you feel both personally and professionally. Dark spaces caused by missing teeth detract from a great smile and often compromise your desire to interact with people. Dental implants are remarkably natural. The shape and coloration of the tooth are matched exactly with your original teeth or are improved. Implants are also incredibly secure and therefore very good alternatives to dentures and perfect for anchoring dentures to prevent slipping. Oral implants also provide increased surface area and chewing force over dentures. 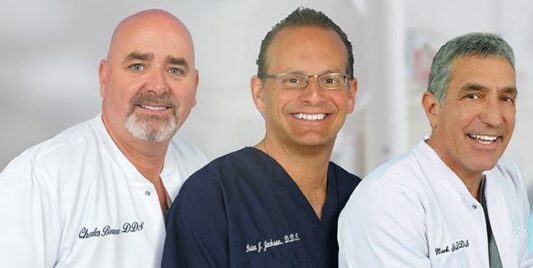 Please call the dental practice of Doctors Slavin, Jackson and Burns to schedule a consultation about Dental Implants. Dental implants are substitutes for the roots of missing teeth. They act as an anchor for a replacement tooth or “crown”, or for a set of replacement teeth. Implant patients are of all ages and implants may be the right choice for anyone missing one or more, or even all of their teeth due to injury, disease, or decay. Dental implants are especially practical for patients who can no longer wear removable dentures. Dr. Jackson can determine if you are a candidate for dental implants after a careful evaluation of your dental and medical history. Dental Implants can be used to secure loose dentures. Thereby, eliminating chronic sores and providing you with stable attractive functioning teeth. Dental Implants can be used to better secure loose partials. They can sometimes eliminate the need for unsightly clasps around front teeth. Thereby, making your smile more attractive. Dental Implants are most commonly used to secure traditional crowns (caps). Their success rates are extremely high because they are not prone to dental caries (cavities). For more information on implant dentistry visit the AAID (American Academy of Implant Dentistry) website. Dr. Jackson’s “Synergy2” process is an innovative implant approach where patients require less surgery, less appointments, less costs and a faster completion of treatment. Dr. Jackson’s comprehensive “Synergy2” process marries several stages of treatment into a single visit. Thereby, eliminating the need to see multiple dentists. The “Synergy2”process utilizes Dr. Jackson’s comprehensive clinical experience and knowledge in biology, surgery and prosthetics (crowns, bridges, dentures) to create a healthy aesthetic and long lasting smile. “Better results thru the synergy of biology and clinical experience”. This revolutionary denture attachment system at the offices of Dr. Brian J. Jackson will change your life. It works with your current dentures allowing them to snap out, snap in, and stay put with absolutely no messy pastes or adhesives. The procedure is quick, painless and affordable. Click here to find out more. Dentures retained by implants can eliminate sore spots and slippage while making your speech and cosmetics much better. You will look and feel younger and healthier! 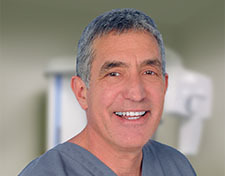 Dental Implants are performed using a local anesthetic (i.e. Novocaine). No different than for a dental filling. This makes for a relatively pain-free procedure and ensures your comfort. Discomfort after an implant procedure is eliminated with an anti-inflammatory medication (i.e. Advil.) Narcotics like Tylenol #3 are never needed to control pain. Dental Implants are most successful when the surgery and the crown or dentures are accomplished over a few months period. Bone needs time to heal. After Implant placement, the patient always leaves the office with a full smile. The patient never leaves without teeth. Insurance coverage and flexible financial arrangements are available so that all patients can afford ideal treatment. Dental Implants last longer than other dental treatment options because Implants never decay. (A better investment in the long run). This saves you money and spares you the inconvenience of repetitive future visits. Dentists that are Diplomats have been credentialed by a Board of experts and are the highest credentialed dentists for implant procedures. 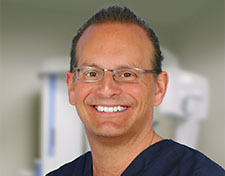 Dr. Jackson is a Diplomate of the American Board of Oral Implantology/ Implant Dentistry. A Board Certified Implant Dentist should complete the entire Implant procedure to ensure the highest quality outcome and a more pleasurable experience. You shouldn’t be forced to see many dentists for different aspects of one treatment.